Once again, we will be running trips throughout both days. These trips are always very popular so get there early to obtain your tickets from Mill Wharf, Gayton Road (turn left when you leave the car park and the entrance to the wharf is a few yards along on your right). 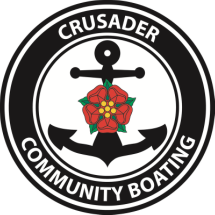 As part of this national event which runs from 13th to the 22nd September, Crusader Community Boating will be offering members of the public the opportunity of a two hour trip, with a commentary about the local history, on our fully accessible widebeam boat on the Grand Union Canal at Blisworth, Northamptonshire. We will be running two trips each day for members of the public. These trips will be free of charge but prior reservation is essential. More details here.